Many types of tea come from the same plant, Camellia Sinensis. The different types of tea are the result of differences in the tea manufacturing process. One of the key steps in the tea manufacturing process is the degree of fermentation the tea leaves. It means how much a tea is allowed to undergo enzymatic oxidation before drying. This oxidation process may be stopped by either roasting or steaming the leaves before they are completely dried out. Through fermentation, the originally deep green leaves become reddish-brown color. The longer is the fermentation, the darker is the color. Depending on the length of roasting and degree of fermentation, the fragrance can range from floral to fruity and malty. These teas retain quite a bit of their original flavor. Green teas fall in this category, they are practically not fermented teas. Most green teas stop the fermentation process through roasting while a few will stop the fermentation process through steaming. White teas undergo very light fermentation during the withering process. Sometimes these non-fermented and very light fermented teas will be scented with Jasmine petals to give the tea an aroma of Jasmine. Examples of Non-fermented and very light fermented teas: Green Tea, Jasmine scented Green tea, Yellow Tea. These teas are yellow-green in color and have fresh natural aroma. 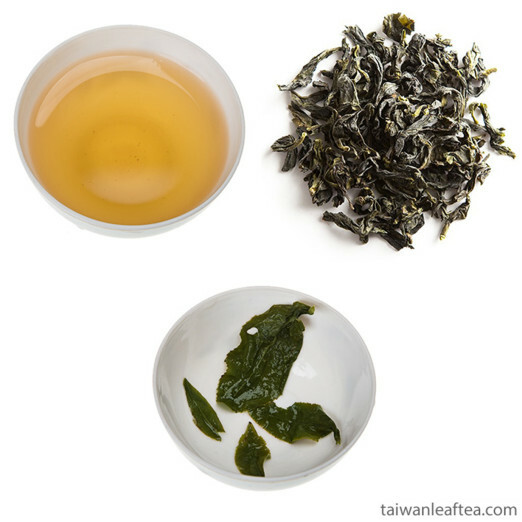 Light (10% - 20%): Jasmine Tea (Pouchong scented with Jasmine petals), Pouchong Tea, Mei Shan Full Aroma Oolong. These teas are full aroma, clarity, and have light golden color. 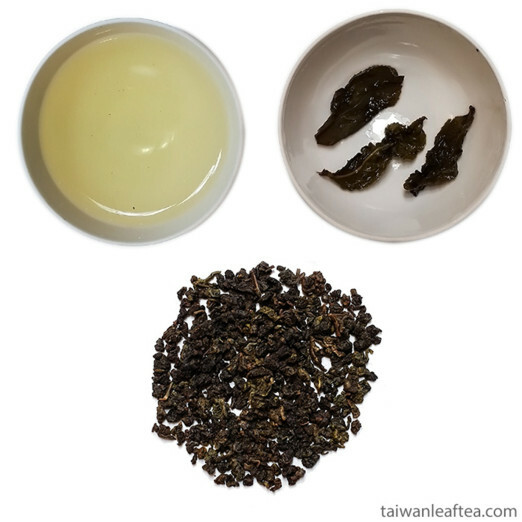 Medium (20% - 50%): Most of oolongs, Dong-Ding (Tung-Ting) Oolong, Tieguanyin. 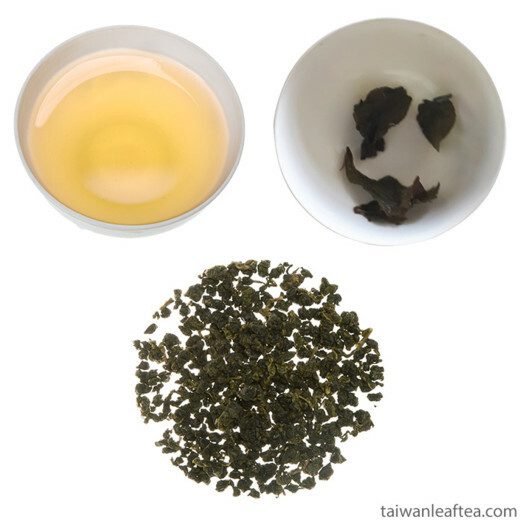 These teas have light green-brown color, a full flavor and sweet taste and aftertaste. 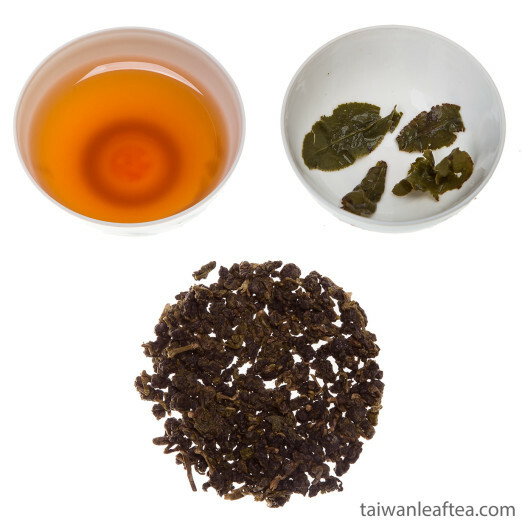 Heavy (50% - 80%): Oriental Beauty Oolong Tea (Dongfang Meiren), Red Oolong Tea (Hong wu long) from Hsinchu. These teas have red-orange color and fruity aroma and taste. Black teas are fully fermented. 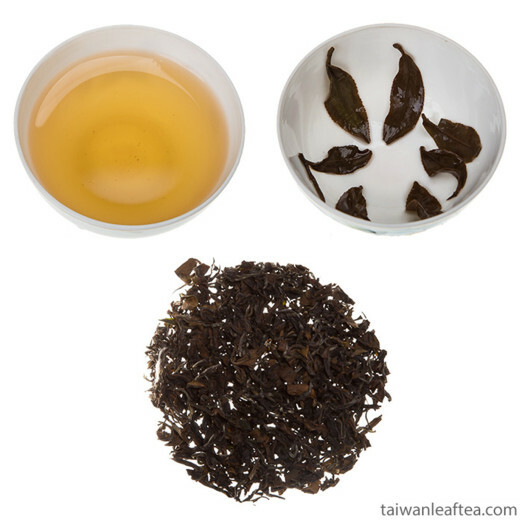 Tea from Black tea leaves have a dark red color and a sweet aroma of malt sugar. 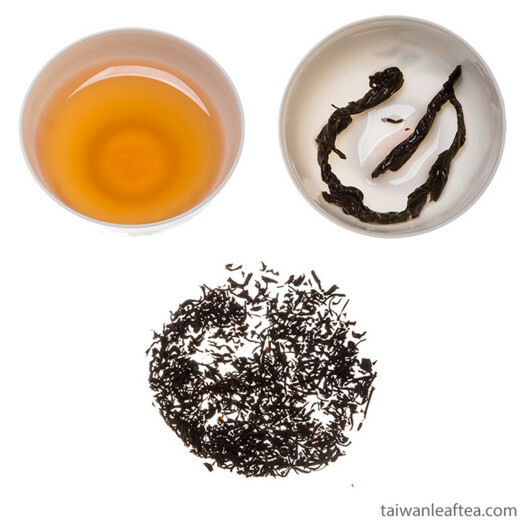 Examples of that teas are Sun Moon Lake Black Tea, Yuchi Black Tea, Assam Black Tea. Teas which are allowed to ferment and then have the processed stopped and later fermented again are known as post-fermented tea. 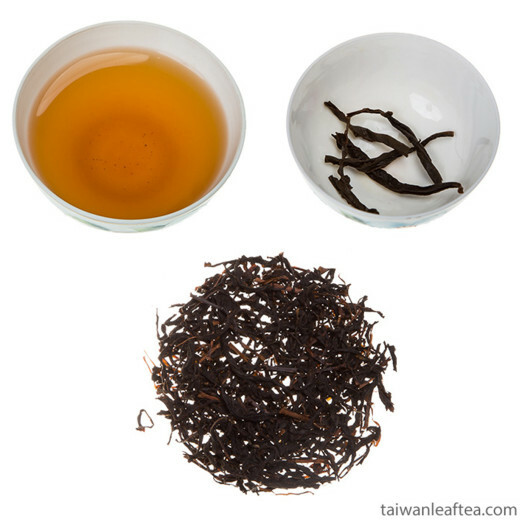 Example: Pu-Erh Tea. Has very specific aroma, color and taste depends on degree of processing.